The movie business has become monkey business, literally, and Hollywood’s latest breakout star is a 17-year-old Capuchin named Crystal. Although her stint opposite The Wolfpack in "Hangover Part 2" is Crystal’s major star turn, she’s an old pro who’s been developing her craft with trainer Tom Gunderson through 20 feature films and various TV appearances, including “Night at the Museum,” “Indiana Jones and the Kingdom of the Crystal Skull,” “3:10 to Yuma,” “George of the Jungle” and the “Dr. Doolittle” movies. “Crystal turned out to be just kind of this miracle monkey,” says her admiring co-star Bradley Cooper. “She’s incredible – she can do anything! When we were talking about it, [director] Todd Phillips was saying there’s going to be this drug-dealing mule who’s a monkey and he’s going to smoke. I was like ‘How the hell are you going to pull this off?’ One of my favorite scenes in the movie is Crystal’s montage with Curtis Mayfield music – it’s just one of the greatest scenes in the movie. “Crystal is better than all of us,” agrees Ken Jeong, who also recently shared scenes with her in his series “Community.” “She's not a monkey. She's like some divine being that just happens to be a monkey. She can do anything. And everyone is surprised at what outrageous things that Crystal can do." 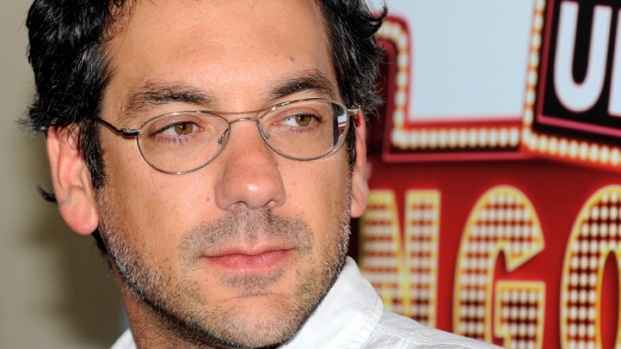 Todd Phillips: "The Hangover 2" is a "Movie That Delivers"
Director Todd Phillips chats about who he thinks was the biggest diva on the set of "The Hangover Part II." Find out if Zach Galifianakis really has a security guard for his beard. Plus, did Todd really let Crystal the monkey smoke in the flick?